For a president often accused of weakness during his four years in office, Jimmy Carter rarely shies away from conflict these days. Working in a diplomatic capacity through his nonprofit Carter Center, the peanut farmer from Georgia has undertaken peacekeeping missions to troubled global hotspots like North Korea, Haiti and Africa, helped negotiate the 2003 Geneva Accord between Israelis and Palestinians, and built houses in Vietnam in 2009 (he's also built houses throughout the United States through Habitat for Humanity). And he has taken U.S. policy and policymakers to task, condemning federal surveillance programs and drone strikes undertaken by the Obama administration. 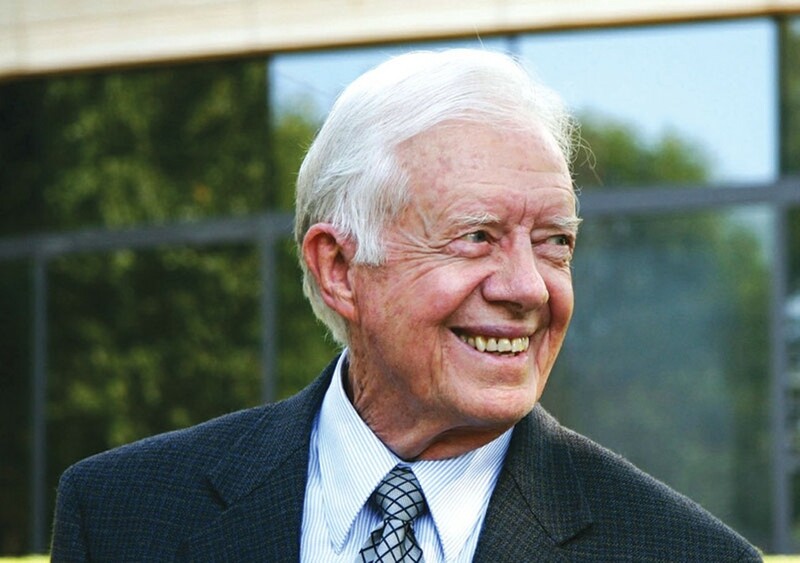 Carter devoted his life to enhancing human rights and working toward world peace after his single term as president ended in 1981. In that time, he's written almost two dozen books. His latest, A Call to Action: Women, Religion, Violence, and Power, covers women's rights worldwide. Carter bluntly addresses religious and social constructs that stand in the way of equality for many women and encourages leaders and citizens alike to join together and end these abuses of power. And he encourages you to come to his book signing. He'll sign copies of A Call to Action on March 29, at Book Passage, 51 Tamal Vista Blvd., Corte Madera. 4pm. $30 (includes book). 415.927.0960.